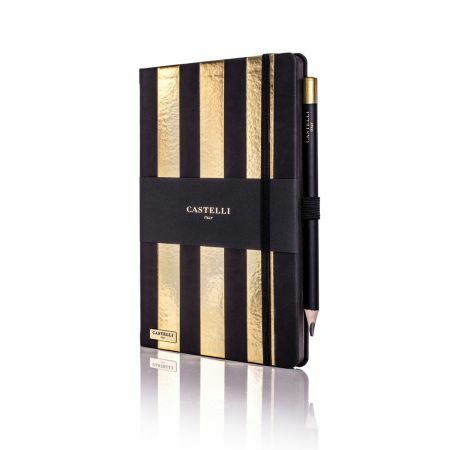 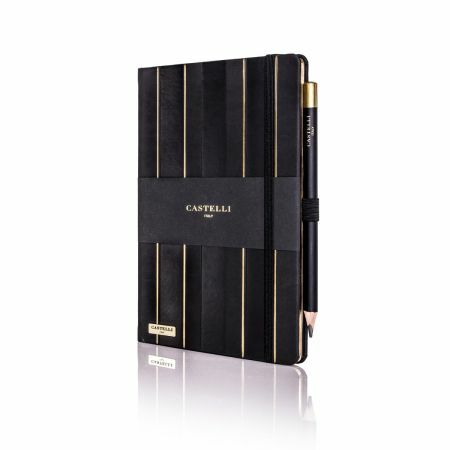 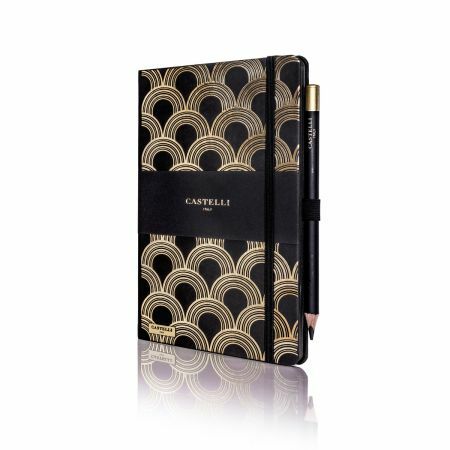 Honeycomb notebook from the Castelli Black & Gold Collection. Elegant notebooks featuring a gold foil embossed honeycomb pattern cover design with additional luxury features that sympathetically infuse Italian design and technical brilliance. Honeycomb notebook from the Castelli Black & Gold Collection. 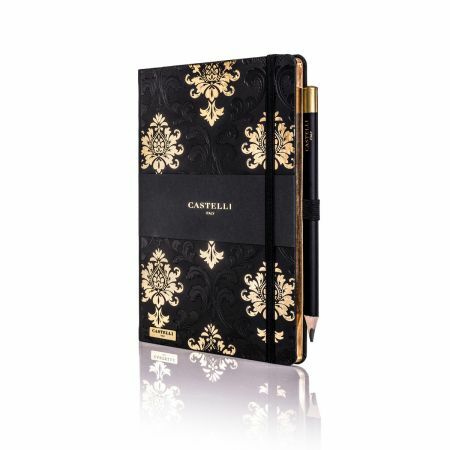 Elegant notebooks featuring a delicate honeycomb pattern blind embossed cover design with additional luxury gold detailing and gold features that sympathetically infuse Italian design and technical brilliance. 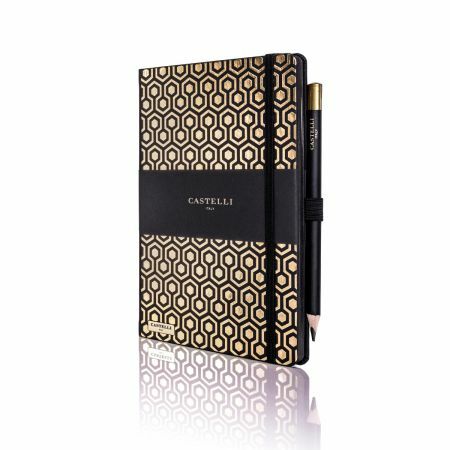 Honeycomb notebook from the Castelli Black & Gold Collection. 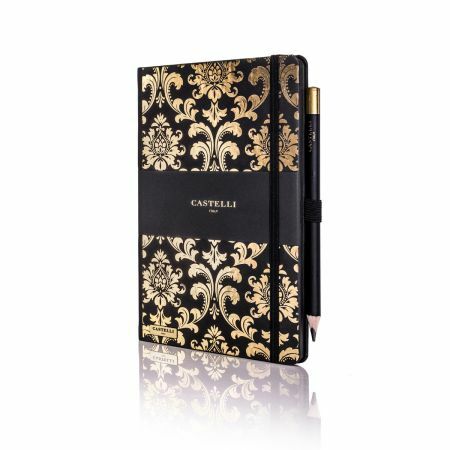 Elegant notebooks featuring a delicate honeycomb pattern blind embossed cover design with additional luxury gold features that sympathetically infuse Italian design and technical brilliance.